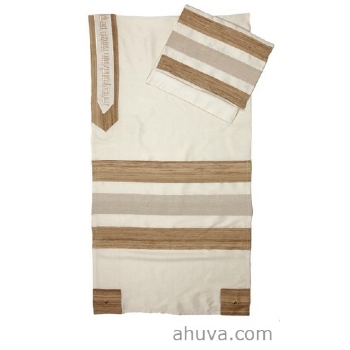 Simple yet Classy Tallit in Brown Color. Addition to it Hebrew letters are printed on the Tallit. Complemented by a matching tallit bag and Kippah.